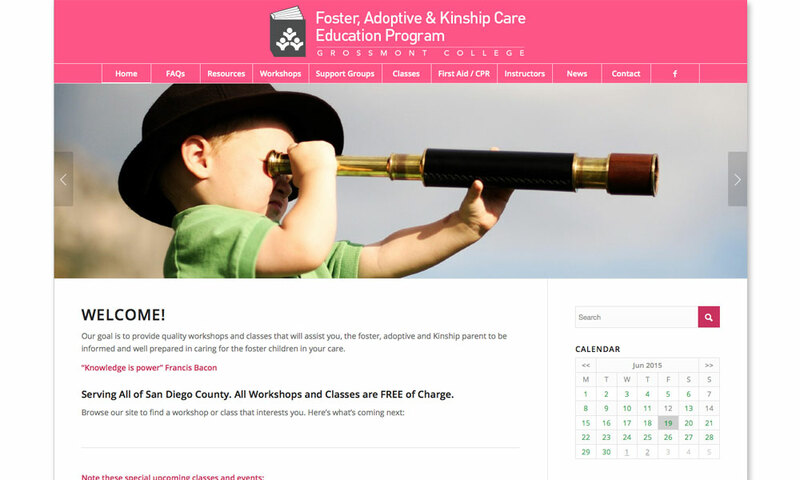 The Foster, Adoptive and Kinship Care Education Program (FAKCE) is a unique initiative of Grossmont Community College. 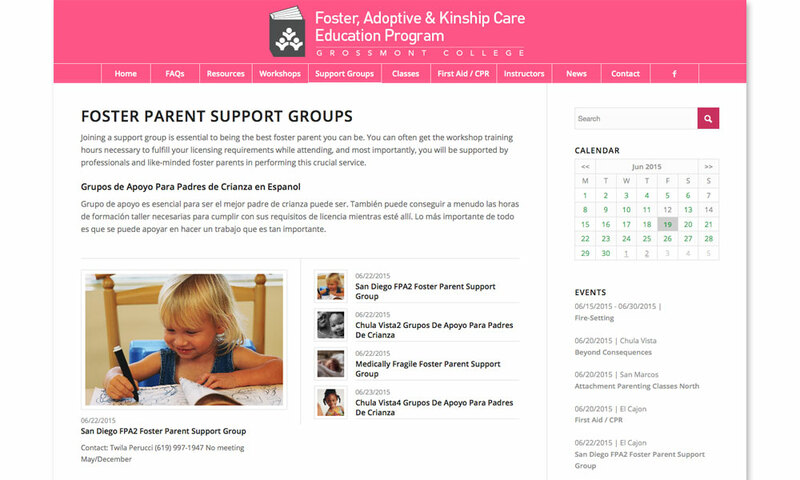 Their goal is to provide quality workshops and classes to assist foster, adoptive and Kinship parents. Unlike similar programs in other cities, these classes and workshops are centralized at an office on the College campus. Class information was traditionally provided through a quarterly catalog, affectionately known as “the pink book.” Sign-ups were encouraged via phone and class enrollees were managed manually. The previous website was built some time ago and did not take advantage of newer tech. 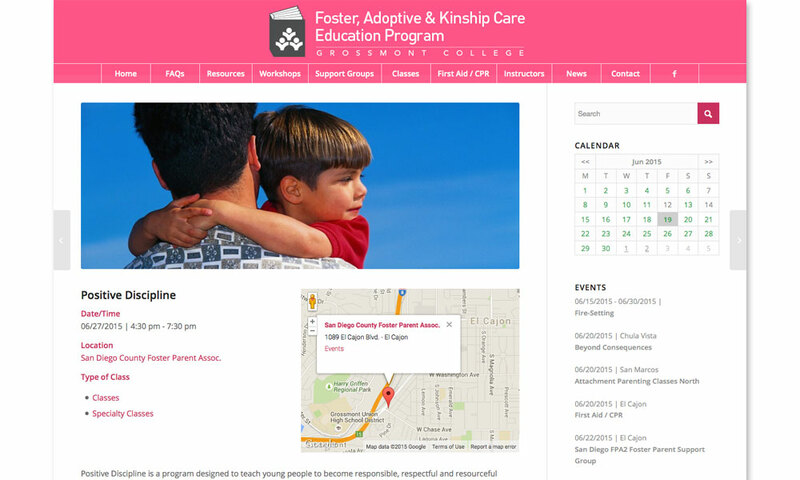 BrainShine redesigned and built the FAKCE website creating an easy-to-use CMS, a robust class scheduling tool with a user sign-up option, and a tracking system for sign-ups through the admin. 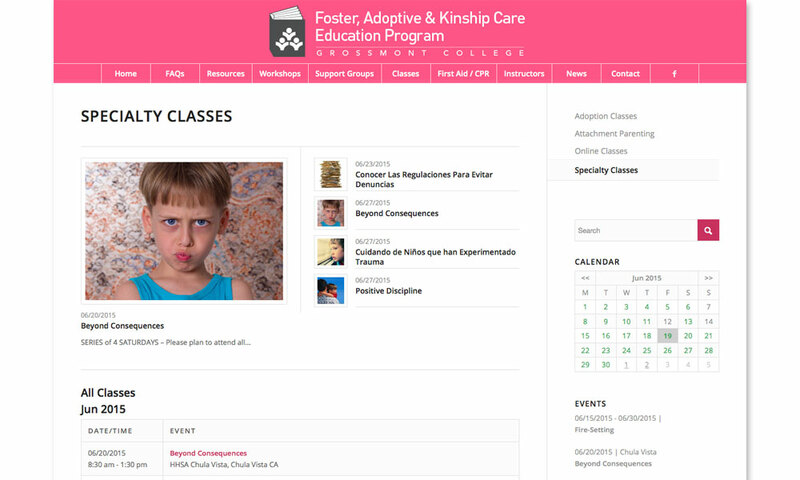 Additionally, future classes can be added at any time and past classes automatically archive. 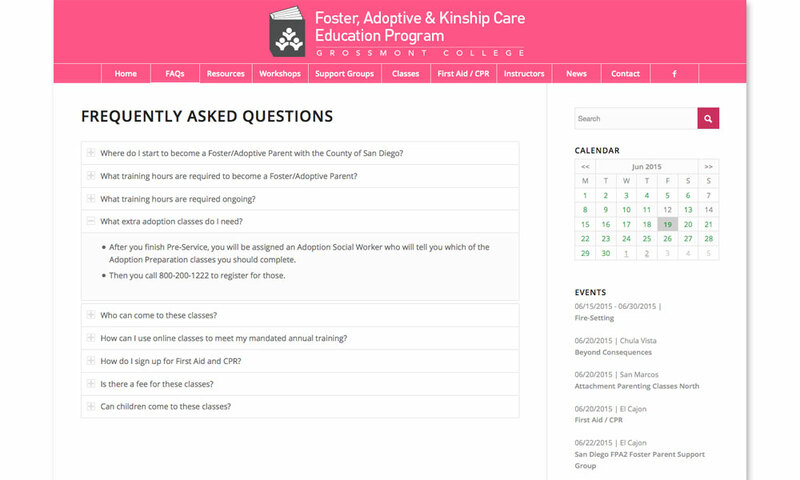 The new site and system automates the workflow of managing 800+ classes at any given time and allows for instant tracking and download of sign-ups.